Happy Thoughts - Ever wished you could be happier? Ever wished you could be happier? Would you like to become happier, more positive, successful? Did you know it doesn't matter if you're 3 or 103, a student, a mother, a teacher, an entrepreneur, a professional or retired, you can be and there is the same key for everyone. The key to being happy, is to have more positive, happy thoughts. You see your thinking is the most important factor in the results you produce in life. The answer: The Happy Thoughts App. 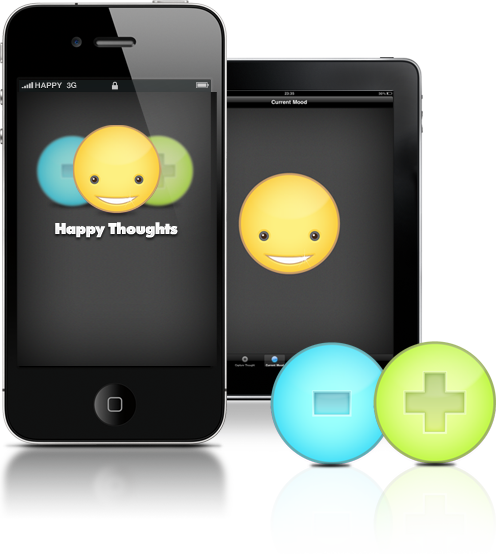 Happy Thoughts App helps you focus on your thinking and record your thoughts as positive or negative. Just doing this, applying thus focus over a period of a few hours, days and weeks has been shown to have a significant effect. 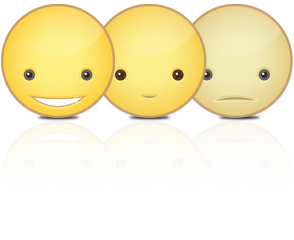 Over time Happy Thoughts will help you think more positively, and you will be able see your progress by tracking your thoughts using the Mood Graph. We've also made it easy to store, sync snd share your results, as you can sync Happy Thoughts to iCloud and use your data across multiple devices. 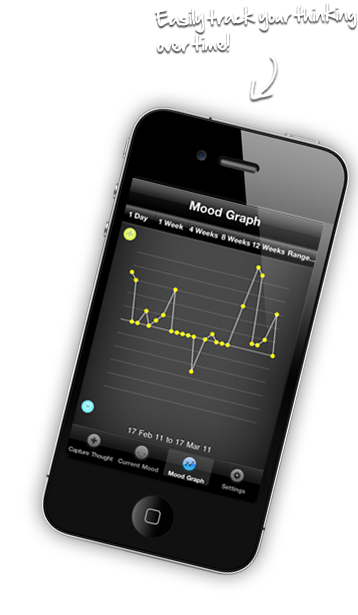 When I heard the idea, I thought this is Mood Mapping made easy, user friendly CBT and something the NHS should have come up with. After 30 years of working in medicine, I have seen time and time again how the mind and focus play a major role in people's wellbeing and health. This app helps anyone from a child to a grandparent, teen to a working mother and is something everyone should be aware of and use for at least 30 days and have in their tool box. Thoroughly recommended. Copyright ©Psi Pi Group and ©The Simple Idea 2011-16. All rights reserved.